The Cursed Satyroi are back and better than ever! I’m halfway through revising, formatting, and distributing my books from Breathless Press. The print copies are still up at Amazon and some of the other stores, and it is giving me issues with reuploading Wicked Satyr Nights at Amazon. It is up at B&N and Kobo to release tomorrow. The Vanishing and Midnight at the Satyr Inn (formerly in Wonderland Tales and Ravaged volume 2, respectfully) are good to go. Under the Satyr Moon should be up by May 30 (if all goes according to plan) and Mercury Rising the following week. 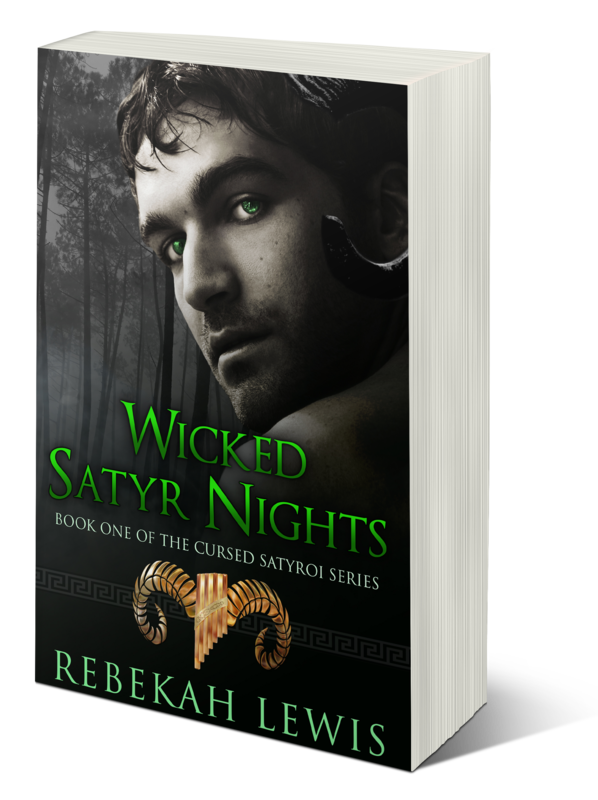 While the art for WSN, UtSM and Mercury Rising stayed the same, I did update the logo for the Cursed Satyroi series. Happi Anarky made a gorgeous logo featuring the syrinx and horns that resemble the laurel wreathes the gods are known for wearing in art. Thank you, Happi! I will post the link to Amazon for WSN as SOON as it is available. Also, this edition of WSN has been HEAVILY revised for typos and editorial issues that I regret made it into print. My editor and I had a very tight deadline, and it doesn’t excuse it, but as you know when you rush mistakes happen. I have learned from this mistake. Furthermore, there is a BONUS SCENE at the end of the new edition featuring Hermes, Zeus, and Pan.